Students make the best teachers. They don’t know what is not possible and so they take us to ideas and possibilities outside the frame. My students just gave me another great lesson. Arriving for the final class of the semester, I discovered the outline of a body on the classroom floor. 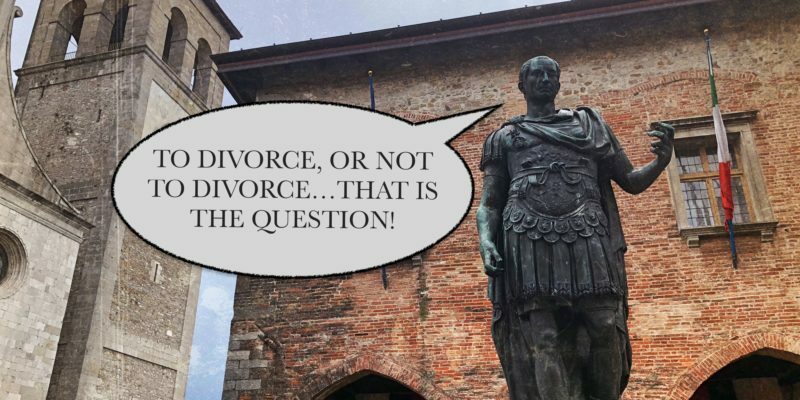 The class assignment was a 20-minute presentation, using a current dispute in the public arena, to showcase how dispute resolution tools might be used to explore the stakeholders, their interests, their alternatives and some creative solutions. The students also had to create a communication strategy to provide an effective vehicle to engage the class. The dispute the group chose was one which has brought Sydney close to public mutiny and involves a major road infrastructure project called WestConnex which has been riddled with destruction and disruption. The community is enraged and the State government is defensive and unwilling to engage. The students’ strategy was to use symbolism to create compelling visual images demonstrating why collaboration was important to resolve the dispute and exploring symbolic images of what collaboration might look like. 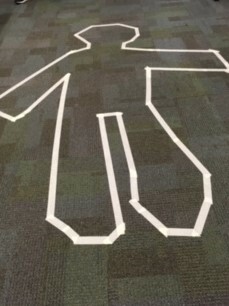 The outline of the body on the floor served as a symbol of a human ecosystem in which no single part of the body can function unless it is working in concert with each of the other body parts. It was communication at its most effective. We know from research that drawings and cartoons are the most effective form of communication – more powerful than spoken or written language. The students did not need to spell out the interdependence of organs and limbs. We got the message instantly from the power of the symbolism on the simple cardboard signs carried by each stakeholder. 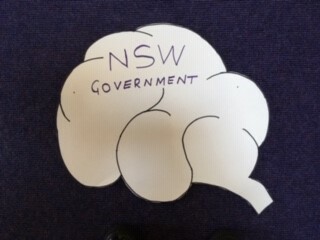 The New South Wales Government is a key stakeholder and the architect of the infrastructure project. The symbolism of the government as the brain was apt. 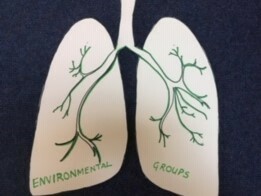 The environmental groups, actively asserting the need to protect the community from degraded air quality and habitat destruction, were well depicted as the lungs. The Sydney Motorway Corporation, the body established to drive this project, was clearly the muscle operating forcefully in driving the project plan to completion. 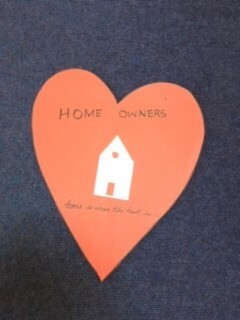 The Home Owners (sub-titled ‘Home is where the Heart is) are pumping the life force through the communities affected by and standing in the path of the motorway complex. As the presentation drew to a close, the stakeholders came together in a community mediation. The stakeholders shared their concerns and interests in a good outcome as the once-disconnected body parts joined together. 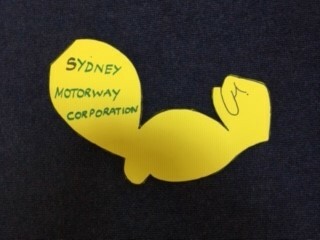 While I remain sceptical that the drama of WestConnex can be solved so readily in real-life, the students’ creativity in crafting a symbolic environment of collaboration and co-operation was really compelling. They have reignited my enthusiasm, as a practising facilitator and mediator, to be more creative in developing ways to enlist the power of symbolism to encourage collaboration and harness creativity. I thank my clever students for another great lesson.